The City of Surrey could consider buying out roughly 400 Crescent Beach homes in coming decades to prepare for the prospect of rising sea levels due to climate change. Buying out roughly 400 Crescent Beach homes to prepare for rising sea levels later this century is one of the options Surrey has proposed. City engineer Matt Osler says it may take decades before climate change floods Crescent Beach, but citywide consultations have found support for the idea of a "managed retreat" of homes and businesses. "When you start to look 80 years into the future with the [predicted] one metre rise of sea level, the costs of maintaining an existing diking system start to grow exponentially," Osler told On The Coast host Gloria Macarenko. "The existing dike would have to be raised by about two and a half metres. When it's at that height, costs such as erosion control and other operating costs start to go up considerably. "When you look long term, it is very much the most sustainable and fiscally prudent approach." Osler says the buyout of Crescent Beach homes would not be required for several decades. It would be a long-term process as sea levels rise. "Over time, the area would turn into a wetland," he said. 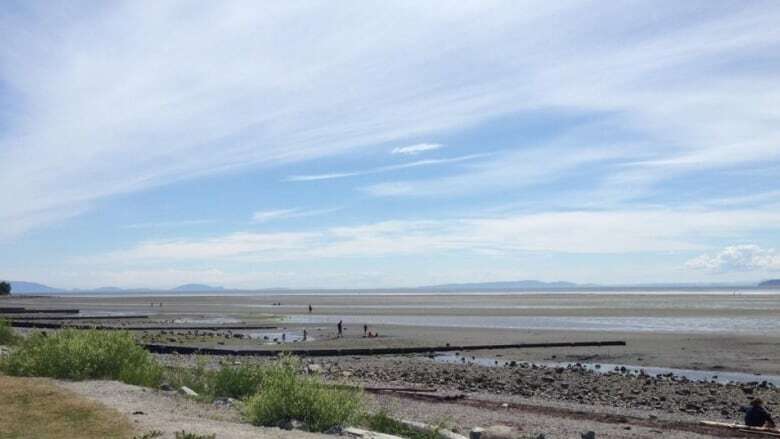 He says the city has been working with residents and communities for two years on a plan to deal with climate change impacts on Crescent Beach. Other short-listed options included widening and flattening the shoreline; building a barrier island to break waves before they hit the shoreline; and finally to build a massive concrete barrier. He says the environmental impacts and risk exposure from those options would be much greater than the managed retreat. Expanded flood control will be considered by the mayor and council in the next year as a short term adaptation to climate change. The four long-term options — including the managed retreat of homes — will be subjected to further analysis before they are presented to council in about a year, Osler says. The story has been revised to clarify buying out homes is only one of four options proposed by Surrey and wouldn't be required for several decades.